It has never been easier to create a professional looking, easy-to-navigate website. You can secure your domain name, hosting, and have a landing page up in a matter of hours. What isn’t easy is actually driving traffic to that website. I’m not claiming to be an SEO expert and I don’t believe in gaming the system to goose your stats. 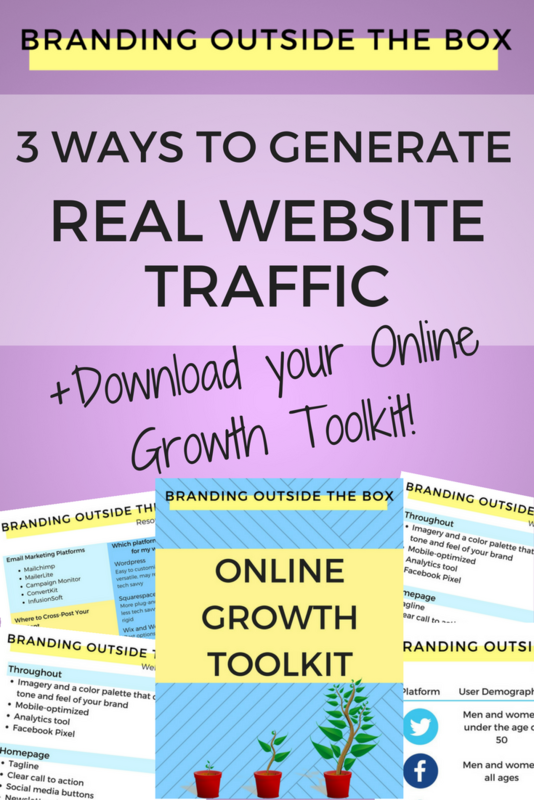 But I’ve launched dozens of sites, both for our clients and for myself, and there are three fundamental ways to drive meaningful, organic traffic to your website. #1 Content is king. If you want meaningful web engagement, you must first create meaningful content. I’ve seen too many homepages that are filled with splashy graphics, buttons, and links, some without a single sentence of content. Google’s web-crawlers don’t pick up graphics, they pick up text. If you want people searching for “wedding planner,” “new bluegrass music,” or “career coach” to find you, then you need to include that language on your homepage. Too many people view their websites as online advertisements, when in fact, your website should tell a story. People who find your site should learn about who you are, what you do, and why you’re different. There is so much noise out there and people have more choices than ever before. Your website should demonstrate why your services or products are different and why consumers should trust in you. Storytelling doesn’t necessarily mean you have to start a blog or write pages and pages of website copy. Keep your pages clear and concise and focus on conveying your personal brand in a short amount of time. #2 Grab those backlinks! Google gives clout to pages that other people recommend, so the most effective way to push your website up in the Google ranks is to have other high-traffic websites link to it. Gone are the days of link farms and paying for backlinks; Google wised up to that really quickly. In order for backlinks to have an effect, they must be natural and not spammy. So how do you generate good backlinks? The higher traffic the website, the bigger the boost. So while having a backlink on a smaller blog or website still helps, securing a link on a site that receives millions of visitors can be the key to launching your website onto the first page of Google. If you utilize Twitter, don’t be afraid to post more often than on other platforms, especially if it’s at different times of the day. I usually schedule 1-2 “promotional” tweets a day, varying the posting times so I reach a different audience each time. If you blog, I recommend cross-posting relevant content to other platforms such as LinkedIn and Medium. This will help new users discover your content and your website. Just don’t forget to include a backlink! There are plenty of companies that specialize in search engine optimization and search engine marketing, but most of us don’t need those guys. Our goal isn’t about artificially increasing numbers, it’s about creating an impactful and engaged following. And these tips will help you to do that on your own. 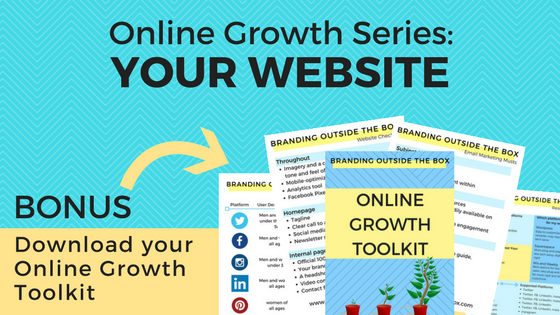 Next week, we’ll address the next crucial component of your online following: your email list! You own your website, but you don’t own your Facebook page or followers. If Zuckerberg decides to close Facebook tomorrow, you’ll lose all your content and your following.